The possibilities for change and innovation when it comes to design are limitless and inspirational examples of the scope and power of design are everywhere. One such initiative is the Cancer Care Charity Maggie’s. created by Architectural writer and theorist Charles Jencks and his wife Maggie Jencks, there is now 19 Maggie centres assisting people across the world and online. Maggie’s centres combine breathtaking architecture with professional therapy to facilitate holistic healing and support families affected by Cancer. Based on this simple concept, Maggie Centre’s are a carefully designed environment that features elements of light, space, openness, and connectedness to nature in order to allow cancer patients to heal not only their bodies, but their spirit. Generally the key elements of healthcare buildings today are determined by practical restraints such as budgets and deadlines – Dutch academic Cor Magenaar blames the separation of Architecture and healing on Modernism and points to examples of ancient temples where healing of the spirit was equally important to that of the body. Distinguished architects who have designed Maggie’s Centres include Richard Rogers, Frank Gehry, Zaha Hadid, and Rem Koolhaas. Though it may not be entirely necessary for such famous architects to work on the buildings, it does heighten the charity’s profile, resulting in generous donations that allow them to create such incredible spaces to be enjoyed for free. The Maggie’s centres vary significantly in their size and form. However, they are all modest in size to create an intimate and human environment and they each consist of spaces for gathering, meditation, therapy, consultation, and reading. Karl Johnson explains, ‘Architects play a critical role in shaping the qualities of our environment; they work in collaboration with end users and their needs and ambitions, and they have the power to restore and promote solidarity, mental and physical health and be a source of happiness” (Karl Johnson 2013). Maggie’s Centres exemplify this and are a unique initiative where design is used to inspire and rejuvenate people as they undergo and recover from cancer treatments. Merrick, J. 2014. ‘Raising the level of Care, Maggie’s Oxford by Wilkinson Eyre,’ The Architects’ Journal, 05 October 2016, Pp. 20-25. 2003. ‘Made for Maggie,’ Building Design, 3 October 2003, Pp. 16-32. One way to experience the culture of a nation is by exploring it’s contemporary art scene. Based in Yogyakarta Central Java, highly-acclaimed Indonesian artist Eko Nugroho explores the spirit and modern history of Indonesia in his imaginative, and often dark, works. Having experienced Indonesia’s period of Reformasi (reformation) and the country’s shift toward democracy, Nugroho belongs to a generation of artists known as ‘2000 Generation.’ Nugroho’s roots in Yogyakarta’s vibrant street art scene is evident in his ecclectic and energetic style that is peppered with socio-political commentary, pop culture, and traditional Indonesian art and craft. Although he is not directly political, Nugroho explains, “Daily life in Indonesia is consistently coloured by the issues of poverty, social injustice, corruption, violence and religion. Actually, I do not intentionally imbue my works with socio-political messages. However; it is all but impossible to free myself completely from the events happening around me.” This almost unconscious social and political commentary is evident throughout his work and paints a fascinating and dimensional picture of contemporary Indonesia. Independent curator Supriyananto who Curated Nugroho’s 2009 New York exhibition ‘Tales from Wounded Land,’ commented that Nugroho’s works “make a pointed commentary about the current state of politics and society in contemporary Indonesia, a period in which the newly democratic country is going through great transformation” (Supriyanto 2009). Nugroho’s medium varies dramatically with each work, his chosen mediums include Print Making, Embroidery, Animation, Sculpture, Painting, Design, Graffiti, Drawing, Batik, Film/Video and Installation. This dynamic mix of traditional and contemporary mediums gives his work originality and flexibility with the soul and craftsmanship of traditional Javanese arts. Feehan, C. 2010, ‘A study on contemporary art museums as activist agents for social change,’ ProQuest Dissertations and Theses. Phillip Morris Smoking Advertising aimed at Women associates Smoking with Independence and Freedom. When visiting Indonesia there is smokers everywhere. Male smokers. In fact approximately 57.1% of Indonesian men smoke, a stark contrast to only 3.6% of Indonesian women (Tobacco Atlas 2017). This difference is commonly attributed to cultural values but data from various sources suggests this gap is rapidly narrowing and The World Health Organisation estimates that the number of women smoking will almost triple over the next generation . In an essay on public health in Indonesia, Amanda Amos cautions that, “Women are becoming more independent and, consequently, adopting less traditional lifestyles. One symbol of their newly discovered freedom may well be cigarettes” (Amos 2000). However when talking to local Indonesian women Annisa*, who works with Muhammadiyah Tobacco Control Centre Yogyakarta, she shed light on the determination of Indonesian women to promote change and opposition to this deadly habit. Studies show a clear link between tobacco marketing and risk of using tobacco products and The Tobacco Atlas warns that in order broaden their market the tobacco industry is now marketing it’s products aggressively to women and children. In a developing country like Indonesia tobacco companies market cigarettes as a ‘torch for freedom’ for women, a symbol of social desirability, emancipation, independence and success. 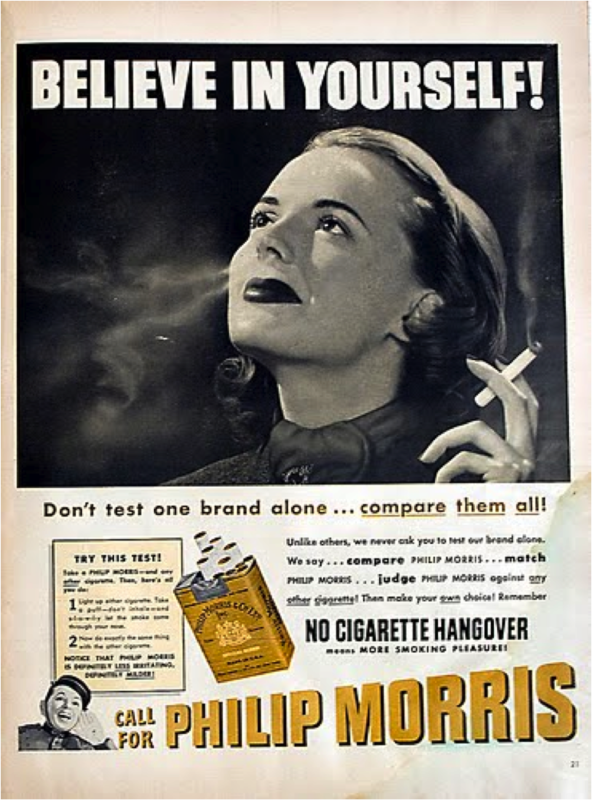 In her journal article for ‘Addiction‘ Robyn Richmond cautions that “Tobacco marketing has extensively targeted women, exploiting women’s struggle for equal rights by promoting themes that purport an association between smoking and social desirability, freedom, success, glamour and business appeal” (Richmond 2003). Ng, N; Weinehall, L; Ohman, A. 2006, ‘If I don’t smoke, i’m not a reall man – Indonesian Teenage boys’ views about smoking,’ Health Educ Res, Vol. 22, No. 6, Pp. 794-804. Annisa 2017, Interviewed by Manon Drielsma in Yogyakarta, 10 February 2017.